Microbial colonization of the infant’s gut begins during pregnancy and continues rapidly after birth until 2 to 3 years of age. This initial colonization is extremely important, because the types of organisms with which the gut is colonized can have a profound effect on overall health and disease prevention. Sparked by ongoing research in this arena, as well as real-word experience, the role of prebiotics and probiotics in human nutrition in general, and for neonatal and infant nutrition in particular, is advancing into a new era of recognition and appreciation. To relay the latest data on the role of the microbiome in neonatal health to practicing clinicians, this educational initiative provides an in-depth review of the pivotal role of gut microbiota in neonatal health and development. Evolving understandings of the pathogenesis of necrotizing enterocolitis are explored, as are the implications for prevention and treatment. Rationale for the use of prebiotics and probiotics in the neonatal intensive care unit is provided, combining the latest research findings with practical experience. The activity will also describe key points from latest guidelines and recommendations from professional associations on the use of prebiotics and probiotics in neonatal and infant nutrition. In accordance with the ACCME Standards for Commercial Support, HME and AKH require that individuals in a position to control the content of an educational activity disclose all relevant financial relationships with any commercial interest. HME and AKH resolve all conflicts of interest to ensure independence, objectivity, balance, and scientific rigor in all its educational activities. Dr. Underwood is on the speaker’s bureau for Abbott Nutrition. The staff of Haymarket Medical Education and AKH, and Dorothy Caputo, MA, BSN, RN, Lead Nurse Planner of AKH Inc., Advancing Knowledge in Healthcare have no relevant financial relationships to disclose. This enduring activity is awarded 0.50 contact hours for nurses. 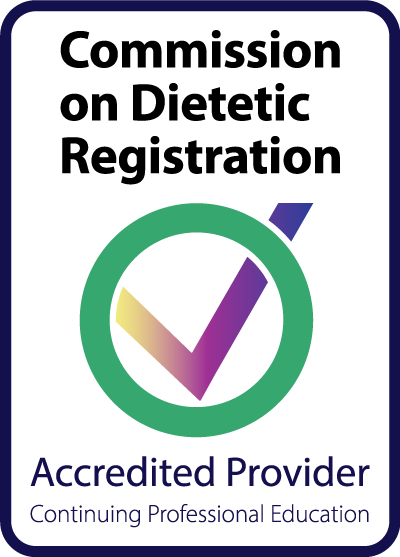 AKH Inc., Advancing Knowledge in Healthcare is a Continuing Professional Education (CPE) Accredited Provider with the Commission on Dietetic Registration (CDR). Registered dietitians (RDs) and dietetic technicians, registered (DTRs) will receive 0.50 continuing professional education unit (CPEU) for completion of this program/material. CDR Accredited Provider #AN008. AAPA accepts certificates of participation for educational activities certified for AMA PRA Category 1 CreditTM from organizations accredited by ACCME or a recognized state medical society. PAs may receive a maximum of 0.50 Category 1 Credit for completing this activity. This CME/CE activity may or may not discuss investigational, unapproved, or off-label use of drugs. Participants are advised to consult prescribing information for any products discussed. The information provided in this CME/CE activity is for continuing medical education purposes only and is not meant to substitute for the independent medical judgment of a physician relative to diagnostic and treatment options for a specific patient's medical condition. The opinions expressed in the educational activity are those of the faculty and do not necessarily represent the views of Haymarket Medical Education or AKH Inc., Advancing Knowledge in Healthcare. Please refer to the official prescribing information for each product for discussion of approved indications, contraindications, and warnings. If you have any questions relating to the accreditation of this activity, please contact HME at cmequestions@haymarketmedical.com. If you have any questions relating to the CE accreditation of this activity, please contact AKH at jgoldman@akhcme.com. If you have any questions relating to your certificate or have other issues with this activity, please contact myCME.Support@haymarketmedical.com.